NPR chief marketing officer Meg Goldthwaite shared data today with MediaPost showing that Alexa listening for the broadcaster’s live streaming rose 242% between November 2017 and February 2018. That was during a period of time that NPR data show overall smart speaker ownership increased in the U.S. by about one-third from 12% to over 16% of the population. In November, Alexa accounted for 3.9% of all NPR live streaming. By February, that number had risen to 13.3%. At the Smart Voice Summit in Paris Radio France’s Pippa Rimmer said that voice and smart speakers represent the revenge of radio. After many years of digital focus on written and video content, voice assistants put audio back into the spotlight. That is clearly where radio shines. Meg Goldthwaite made a similar comment to MediaPost. Four or five years ago, people were saying radio was dead. It was difficult to even find one. The largest gains have been in the younger segment. Voicebot data also confirms that music and radio listening are among the most popular smart speaker use cases. Music listening was the most frequent use case and radio listening was fifth. NPR holds a privileged position in the Alexa ecosystem. It is the default radio news provider when a user says, “Alex, give me the news.” It also has its own Alexa skill for NPR One and a position in TuneIn. However, the listenership rise closely parallels other data Voicebot has reviewed for radio stations during the 2017 Q4 and 2018 Q1 periods. 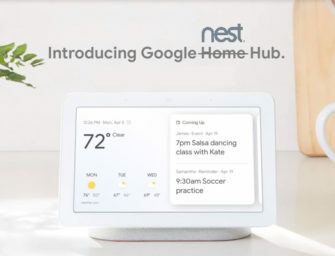 Smart speakers represent a unique opportunity for radio to increase time spent listening in the home and for consumers on the go.